Have you been looking for Ford dealers in PA that have a large selection of new and used cars for sale? If so then you need to come to the Ford dealership near you and see one of the many used cars for sale in PA. Bob Ruth Ford is known for having a large selection of new and used cars for sale with everything from cheap used cars for sale like a Ford Focus, to used trucks for sale including a Ford F150 for sale and everything in between. Here at this York Ford dealer, we understand that when it comes to finding new and used vehicles that fit your wants and needs the process can seem never-ending. Which is why we have many different amenities to help make your car buying experience as pain-free as possible. Which is why we have an on-site Ford finance center, where you can have a Ford motor credit team member walk you through each step of the financing process. That is because we want you to drive away in a vehicle you love and can afford here at this Ford dealership near you. At the Ford Motor Credit center, we can even show you one of the many Ford leases deals available here at Bob Ruth Ford. Ford lease deals are perfect for anyone who does not want to commit to financing a new or used car or does not have a down payment. When you lease a vehicle, you can drive away with a brand new car for a fraction of the cost of financing one, and if you do not love your car, you can always exchange it for a new one when your lease is up. At the Ford Motor Credit center, we also understand that not everyone will have time to come and sit down to talk about their finances. Which is why we have online resources to help you make the financing process even easier. With our online financing tools, you can learn the value of your trade-in, get pre-approved for financing and more all from the comfort of your home. We also have a team of friendly and knowledgeable people who are happy to answer any all questions you may have about one of the many new and used cars for sale here in York, PA. When it comes to used cars for sale in PA, we have something for almost everyone whether you are looking for a used car truck or SUV you can find it here at this Ford dealership near you. Looking for a family-friendly vehicle then come and see one of the many used Ford Taurus for sale near York, PA. These Ford cars for sale are perfect for daily commuters and busy families on the go. With Eco mode, your Ford car is ready to get you even more fuel saving miles than ever before. Not only that but this used car for sale also comes with a built-in backup camera with color-coded grid lines make getting into and out of even the smallest of spots a breeze. The Ford Taurus for sale has a premium sound system and an Mp3 compatible radio that is perfect for listening to all of your favorite music. Plus with a built-in USB port, you can now charge your phone and play your music all at once. Keep the peace when it comes to the temperature in this car for sale with multi-zone climate controls. 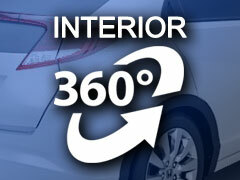 Now you and your passenger can be at the ideal temperature no matter how hot or cold that may be. The Ford Taurus also comes with adjustable power seats with lower lumbar support that will make your drivers seat your new favorite place to be. This used car has a leather-wrapped steering wheel with steering wheel controls. With the steering wheel controls you can now change the radio station, answer phone calls and more without ever taking your hands off the wheel. With steering wheel cruise control you can speed up or slow down without resetting your cruise each time. The Ford Taurus for sale has many state-of-the-art safety features that you will not want to miss. With blind spot monitoring your car will alert you to when someone is in your blind spot when you go to change lanes. Lane departure warning will notify you when you have drifted too far into another lane. Other can’t miss features included with this used car for sale in PA are a tire pressure monitoring system, wireless cell phone hookup and integrated turn signal mirrors. When you are looking for Ford dealers in York, PA come to Bob Ruth Ford and see the used Ford for sale and even take one of the many Ford cars for a test drive. When you are looking for Cheap cars near you, come to your local Ford dealership Bob Ruth Ford at 700 North US Route 15 Dillsburg, PA 17019.